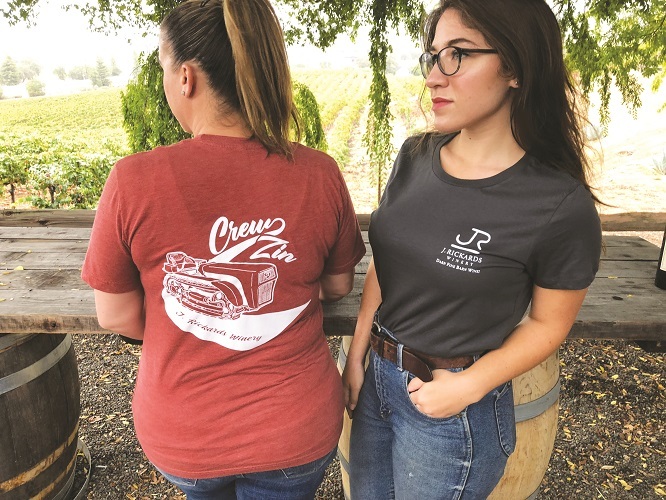 Show everyone that you're a friend of J. Rickards Winery with our limited-edition "Crew Zin" T-shirt, featuring Jim's iconic vintage tractor. These high-quality shirts are light and ultrasoft. Choose Women's Fit in Charcoal or Unisex Fit in Rust.